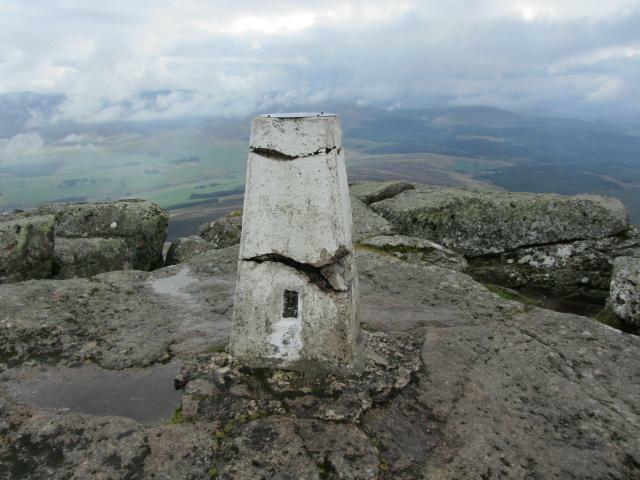 Is ranked joint 773rd with 22 other trigs (more). 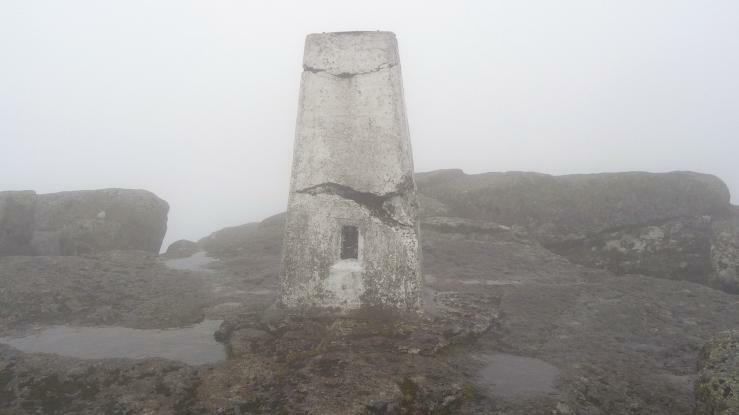 Good walk up to the trig. 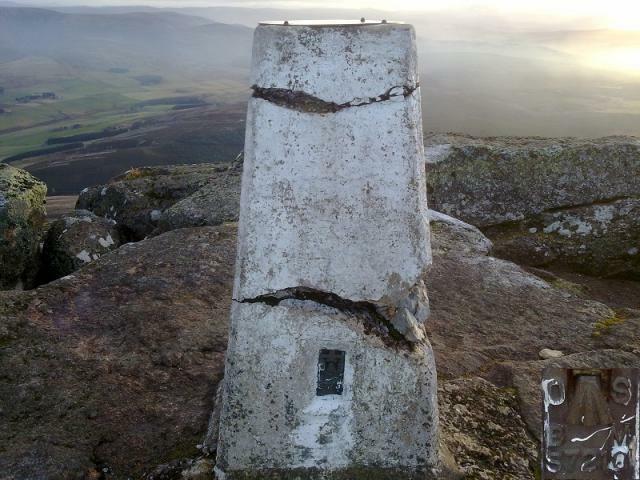 Bagged this trig so many times due to Ben Rinnes being my local Corbett. 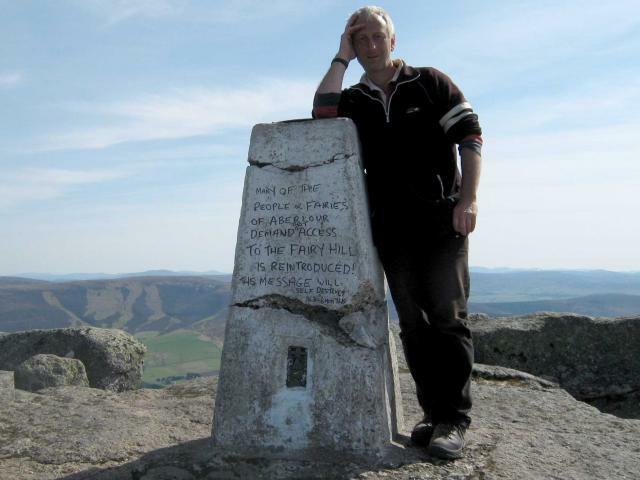 Lovely hill and viewpoint, Not as quiet as the average Corbett. 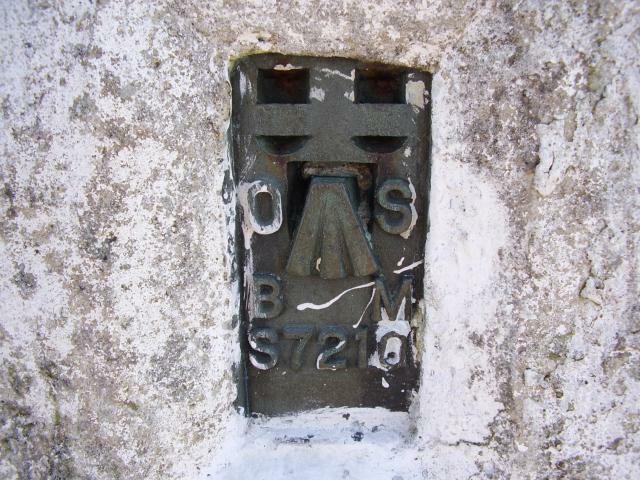 Trig well repaired, painted white, viewfinder on top. 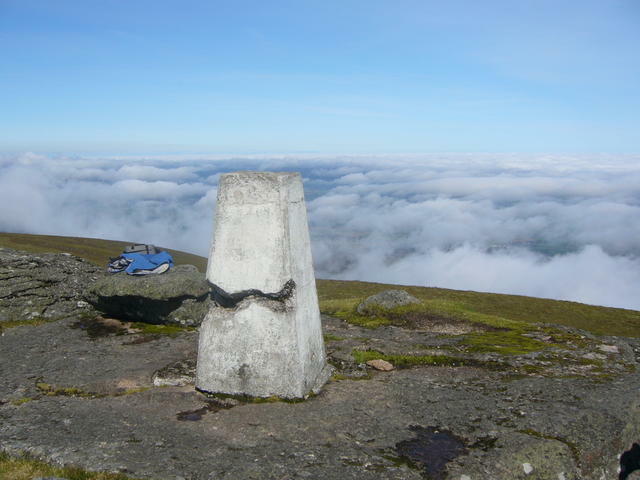 Bagged as part of a 10 mile walk taking in Little Conval trig and Meikle Conval, high cloud with some scraping the summit every now and then. 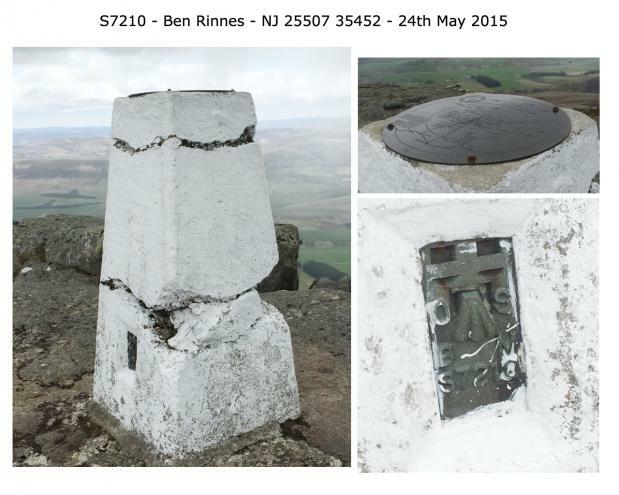 Trig looks like its been patched up well. This is the first and only hill I've ever seen a Nun going up! 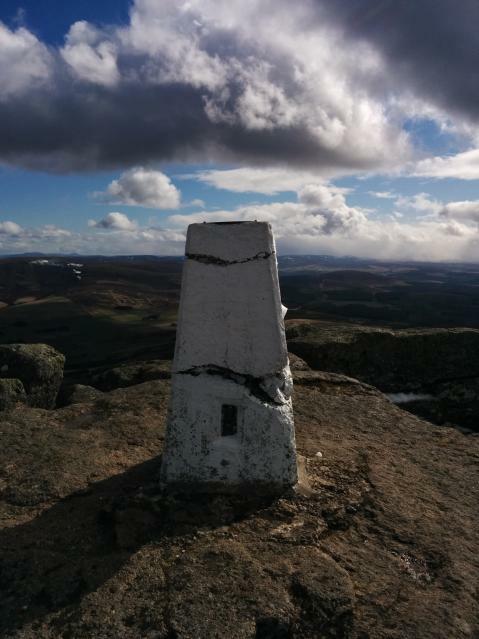 Sunny stroll from the regular car park to the good as new white trig and summit rock. 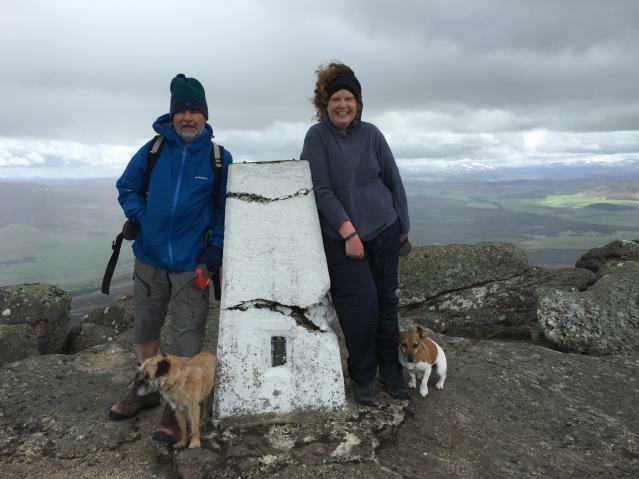 Then continuation onto Meikle Conval where I met Liz and Iain. 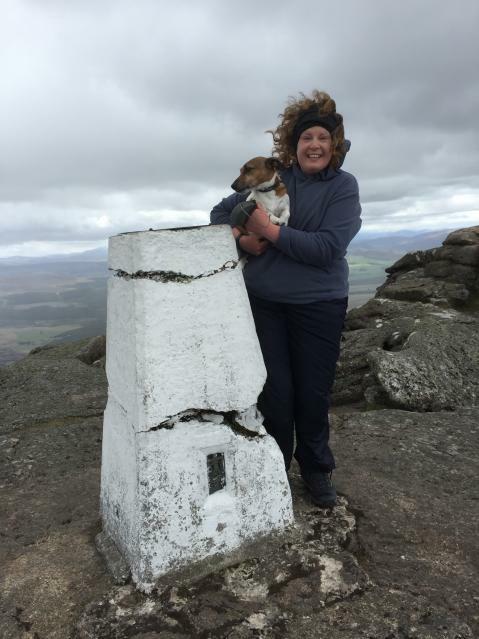 Snowy and icy climb to the distinctive summit with it's granite tors. 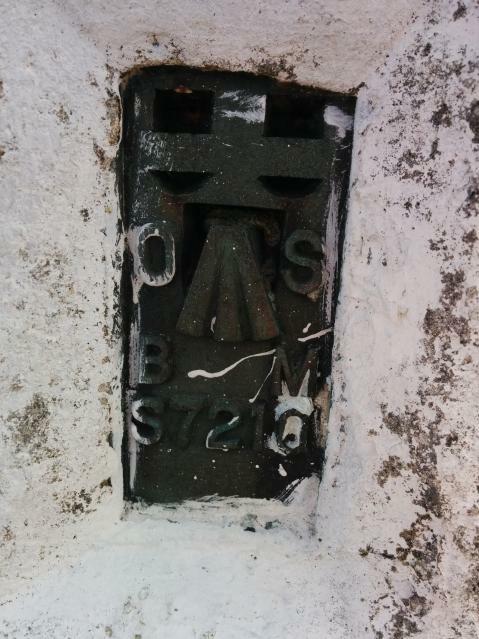 Pillar coated in thick ice so couldn't find the flush bracket. 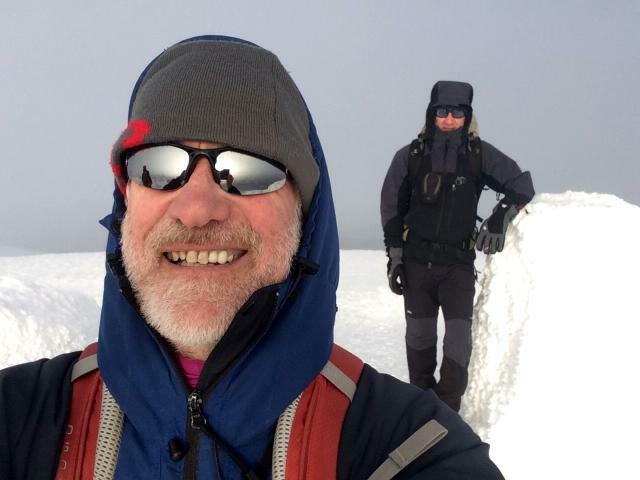 Very cold on top with a vicious wind chill factor so very few photos. 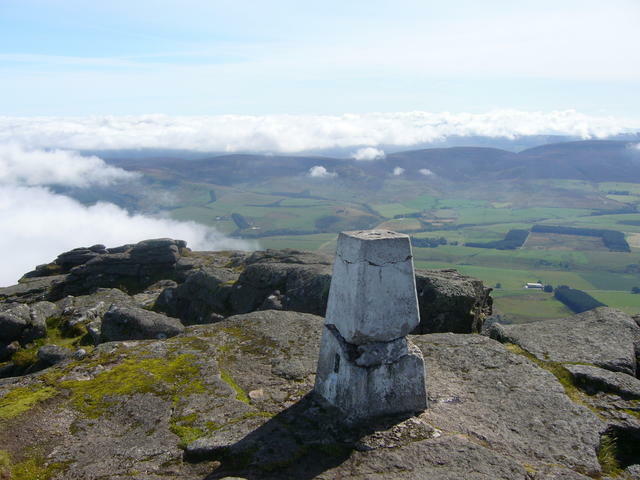 Extensive views right up to Caithness. Late afternoon out & back from the parking area to the East. 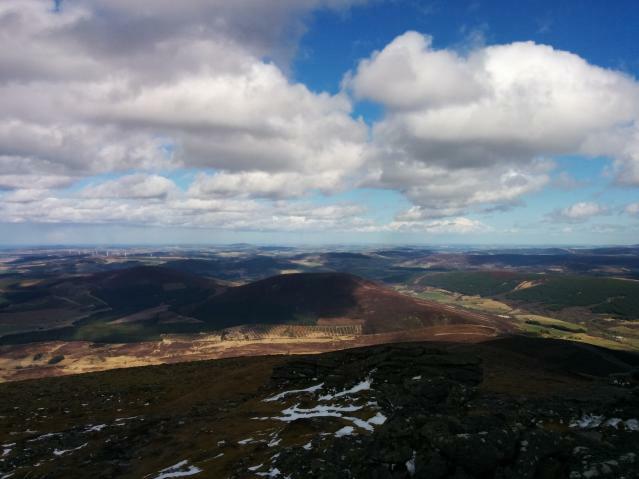 Revisit, cold but clear day for most of the ascent. 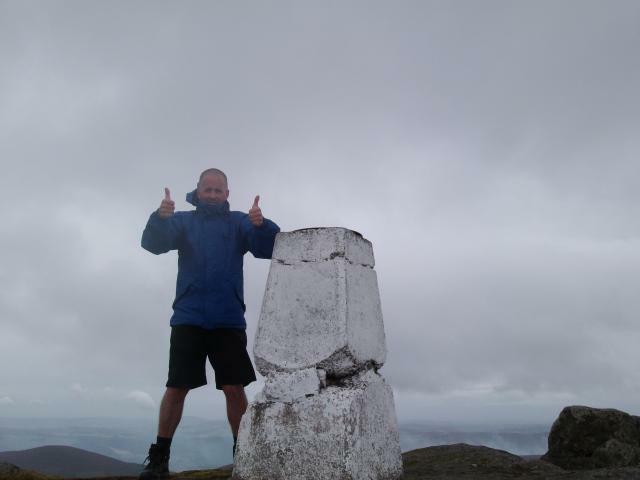 Summit clouded in but the odd break to give us the excellent views. Lunch eaten and back down the hill. 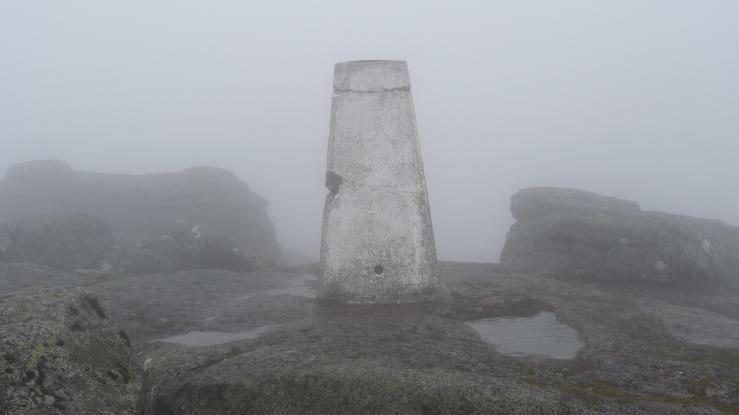 Cold, windy and cloudy for the second trig of the day. Barely stopped before running back down. 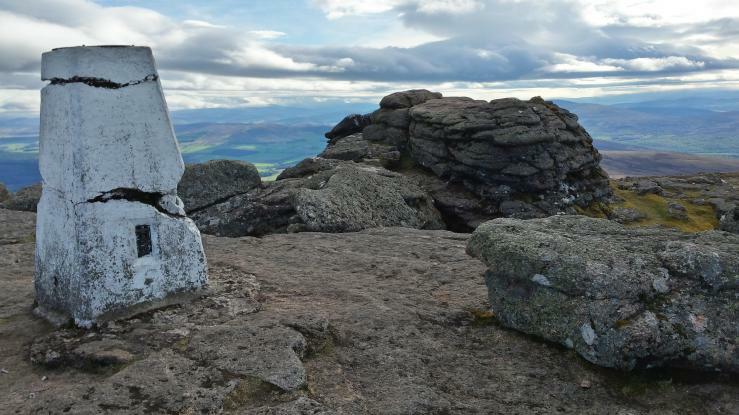 Walk up Ben Rinnes with my son to bag his first Corbett. Great views today, but pretty breezy. 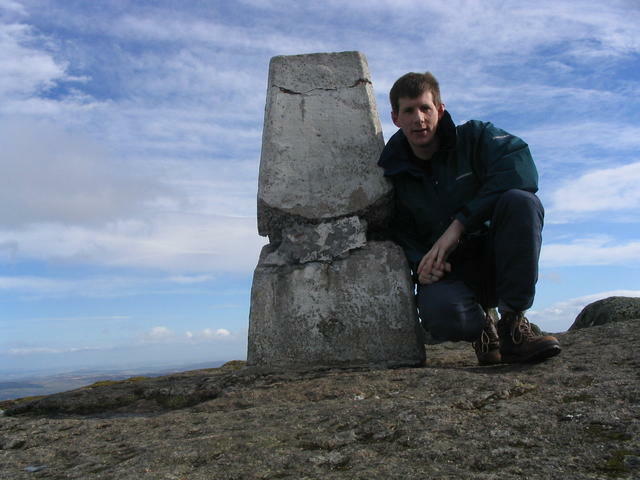 Quick stop at the trig after having no luck with the nearby geocache. 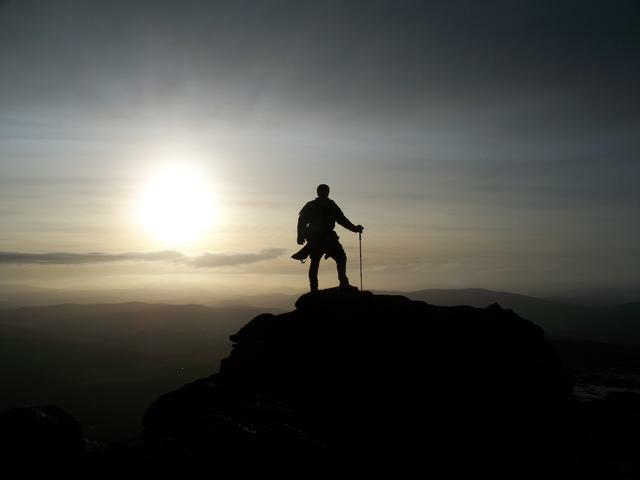 An extract from a poem by Gordon Jarvie (The Angel's Share - A View From Ben Rinnes): ' Caperdonach, Ben Riach, Tormore and Longmorn, Balvenie, Glen Moray, and Mortlach: on and on. This is a world-class distillation from any point of view, a roll-call to tempt any angel's discrimation. 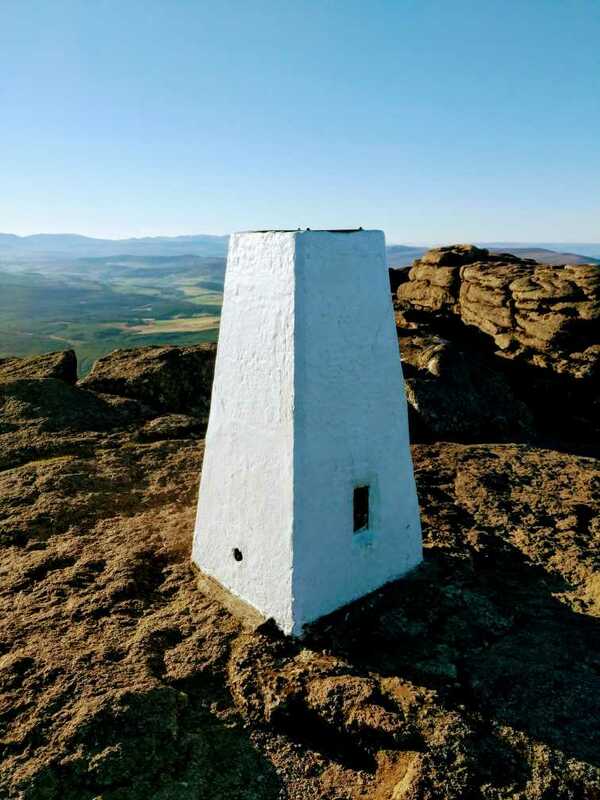 Sitting by the trig point on Ben Rinnes I survey all of the above and more, inhaling an almost celestial panorama, the air thick with larks and angels.' 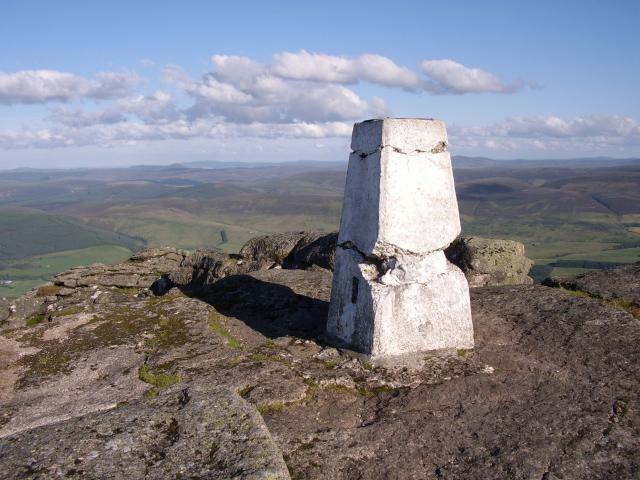 It's the only poem that I'm aware of which mentions a trig point! Didn't hear any larks today, (or see any angels) but saw a small flock of ptarmigan near the summit. 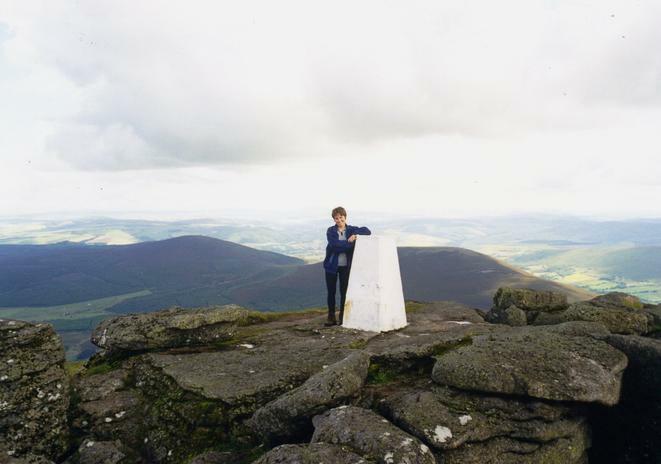 I've been up here before and don't remember the trigpoint at all which is very odd. 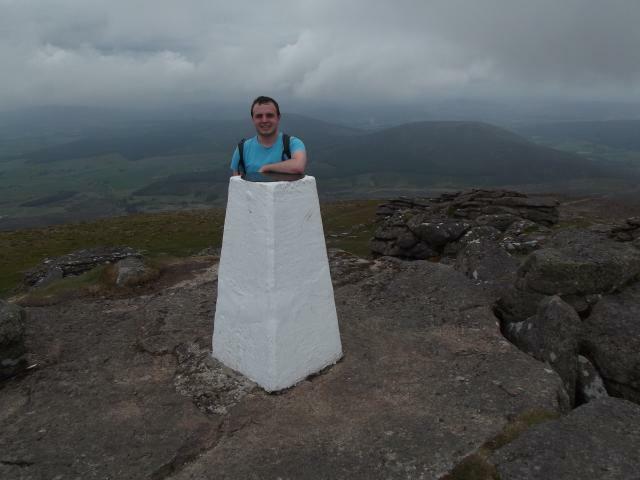 Up with a party of geocachers, trig much easier to find than the geocache! 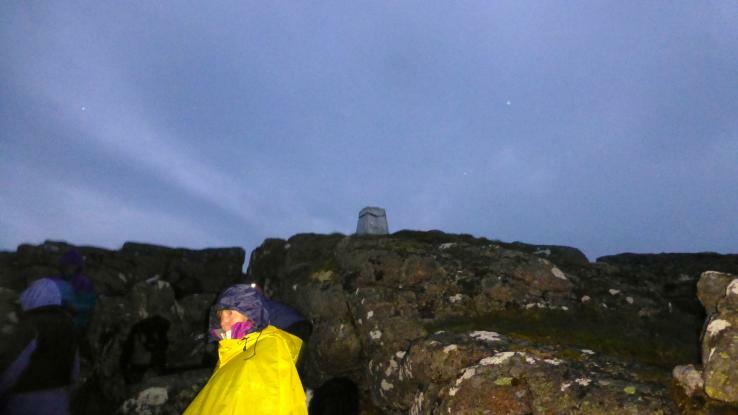 Very windy on the top but plenty of shelter down the slope. Great views. 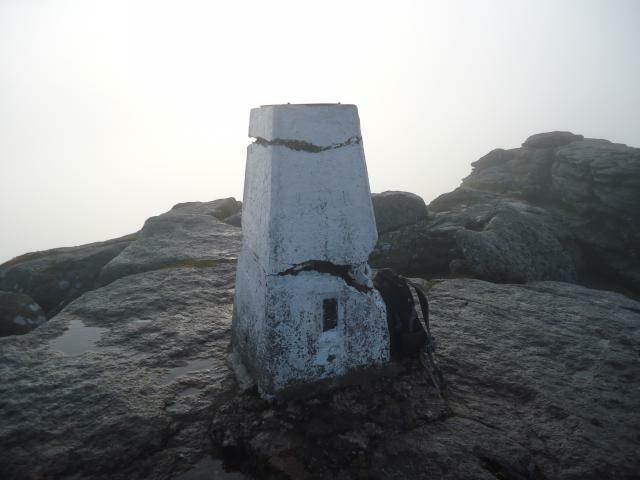 Trig has seen better days and has some significant cracks. Gave myself way more time than I needed. A wee bit of a puffer at some bits but a great track all the way to the top. Great to meet some new trig attendees and get a face to names. Nice wee shelter talking to everyone,then around the corner to the trig while getting blown off my feet with the freezing wind. couldn't feel my fingers. 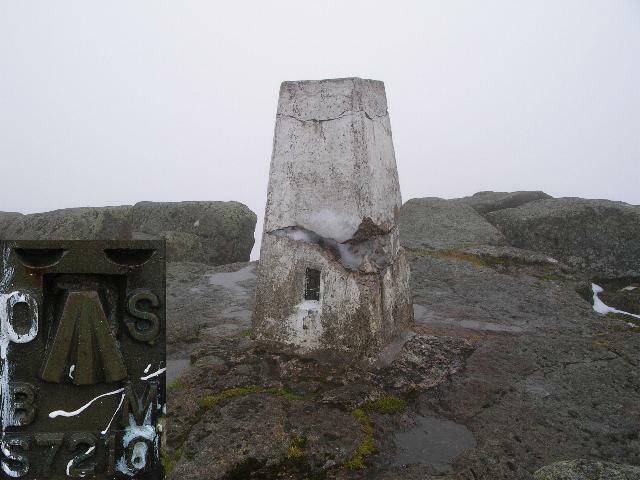 Quite a bit of damage to trig. At least my new shoes didn't get dirty which was my biggest worry of the day. 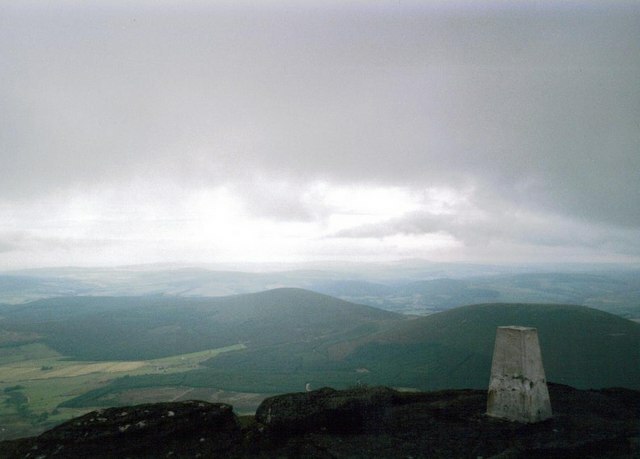 View NE over the Convals towards Dufftown and Keith. 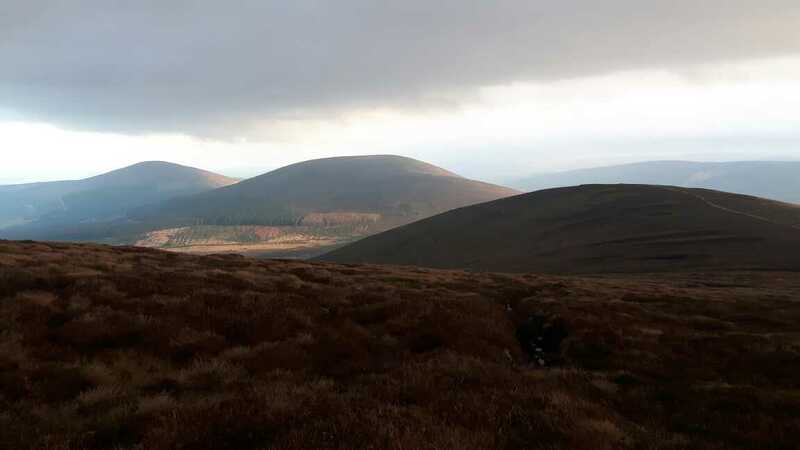 View SE, towards Corryhabbie Hill, Glen Livet and Glenfiddich. On the re-visit list from 2008. lovely day with exceptional all-round views. Nice walk up the well establish path to the summit, quite a few people making the climb up, a popular hill especially on Easter Monday. Well worth the revisit. Revisited with Fiona, no snow yet. Walked in from the Glenrinnes side. 2 large cracks 1/3 & 2/3 height with a chunk missing from W side. Spider covered with a viewfinder provided by the Speyside Whisky Assoc. 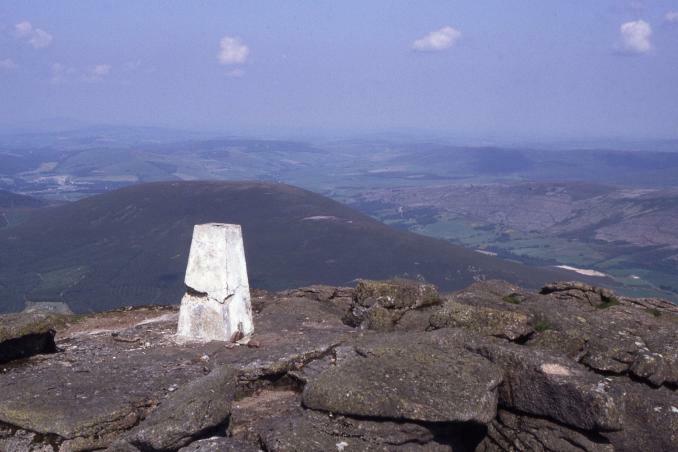 Previously visited this superb viewpoint 17/08/99 no trig details noted. Trig getting a thin waist. It doesn't LOOK windy but. 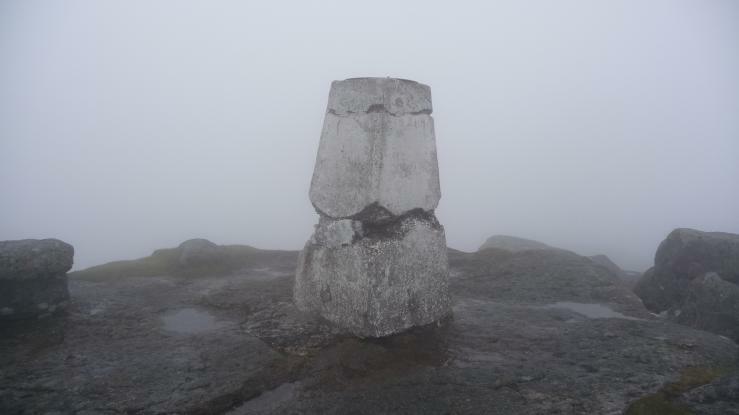 Parked at NJ 28479 35941, then followed path to summit, Cloud dropped so no view. 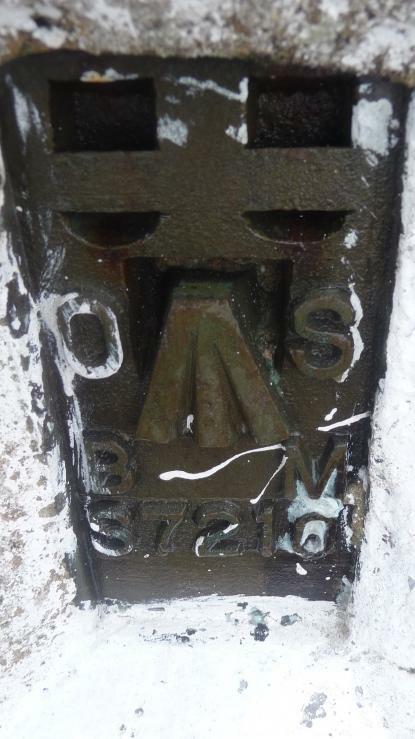 HISTORY: Pillar completed 28th October 1952 costing �12.7s.6d. Computed as secondary triangulation station NJ45/1 within the Elgin block during 1953. Levelled for height also in 1953. last maintained by the OS in May 1981. SITE VISIT: Car park provided at NJ284359. Follow the path all the way up the east side of the Ben. Trunk of pillar is badly cracked with large chunks missing. 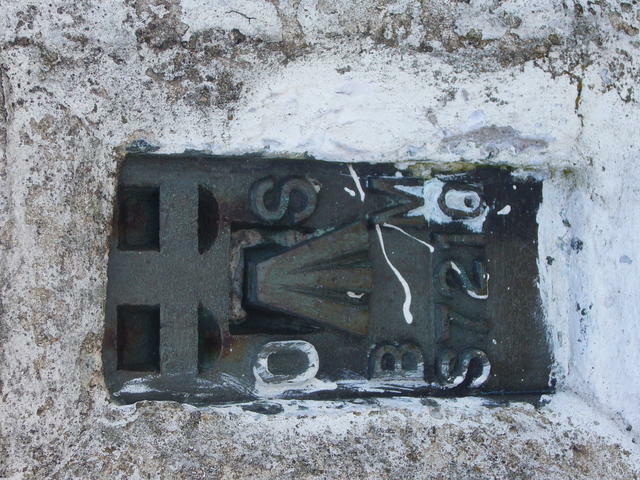 View indicator plate on top surface of pillar hides spider. 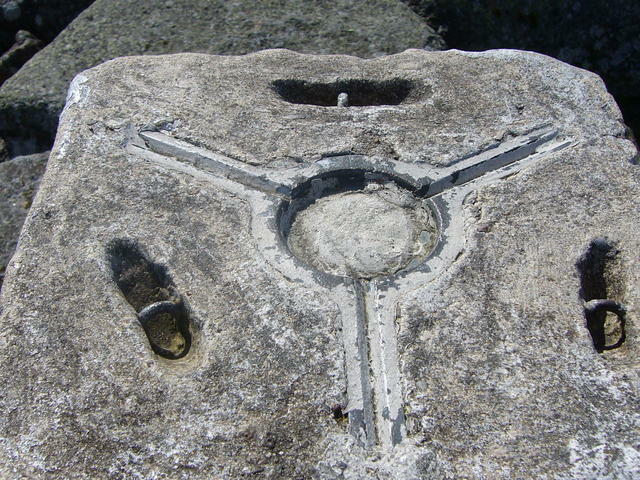 Flush bracket face 5deg north. Vented through east sight hole. 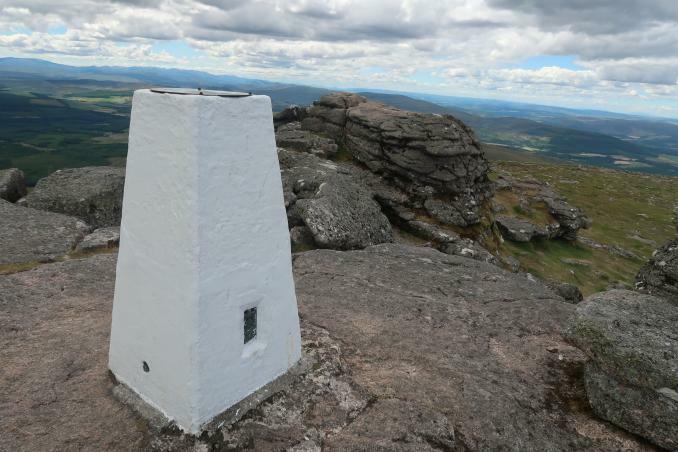 Commanding 360 panoramic view includes the Cairngorms and many prominent tops in Sutherland. 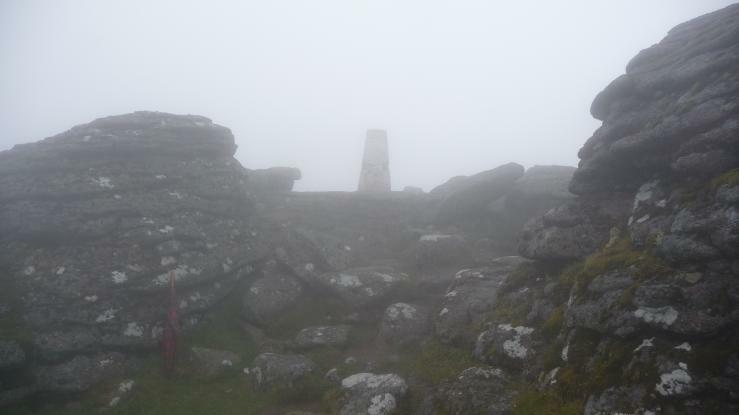 No views but thick fog at top,nice walk up track /path. Deep cracks at 1/3 and 2/3 height with a few chunks missing; nevertheless lovingly white-painted; topograph on top covering spider. 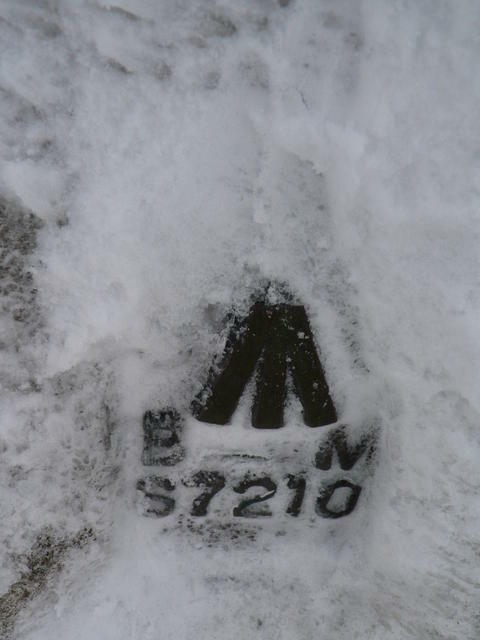 Carefully made path from E, although rubbly near bottom, smallish car park at start. Returned on a clear day for pics. Cold November day, Fiona and me went up, bitter wind, but lovely day. 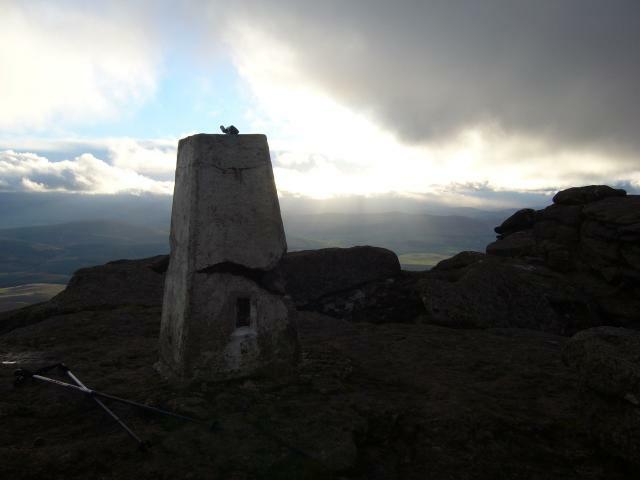 We had all the seasons today, gusty winds at the trig point, stinging hail stones and wet snow, oh and we did have a little bit of sunshine. Very poor day for visibility, like 20ft - Logged with Nozzer, patchy snow at the summit. 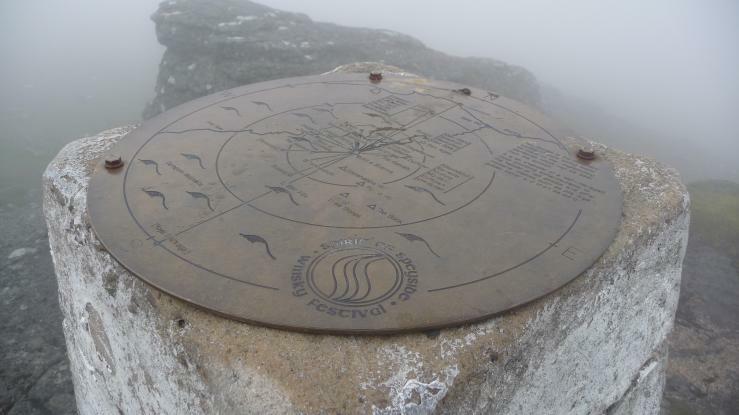 Need to return for what I am sure would be spectacular views on a good day. Nice walk in following the old jeep trail. I saw a lot of grouse on the way up, around 40 in all. Severe corrosion around the middle of the pillar, was packed with snow, if it freezes that will cause further erosion, limited lifespan now. First snow of the year though, and only Sept! I'll return for pics on a clear day! Damaged pillar packed with snow The pillar is very eroded in the middle, the snow was sticking to it when I visited, this will only cause further erosion. Revisited to photograph. Can't be long before its top half comes off. First visit date somewhere in a diary. A pleasant walk up a wide somewhat degraded path (in places). Reconstruction team working on the path which will hopefully improve things, Well done Friends of Ben Rinnes! 'Twas painted white, shining like a mystical beacon. Magnificent! 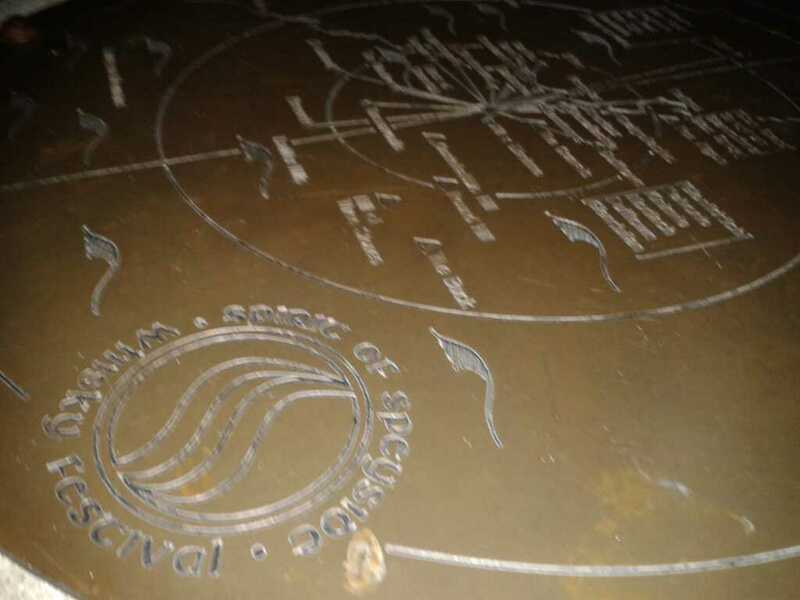 Do not forget to visit the distillery in Aberlour. And do try Benrinnes whisky if you get the chance; the 15 year old is a personal favourite of mine. Very pleasant amble and excellent viewpoint. 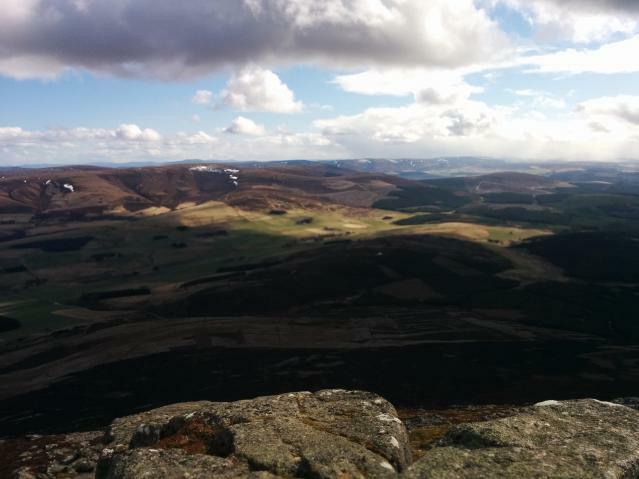 Ben Rinnes So dazzlingly white it hurts your eyes! 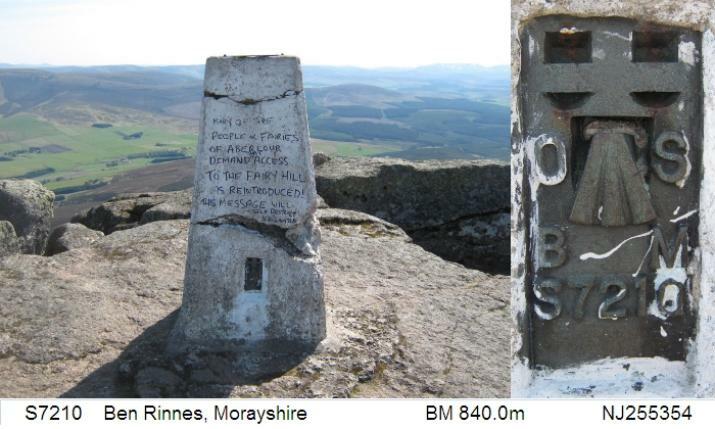 Highest hill in Morayshire and famed for its tors. A very easy walk up a big path. This hill shows up in many views, but was not chosen for a primary station. Lovely early evening walk up over Roy's Hill to summit. Back same way.